Varicose veins occur in both men and women for a variety of reasons including but not limited to: poor circulation, genetics, obesity, pregnancy and prolonged standing. The discomfort from varicose veins can range from itching, stinging, and burning to throbbing pain. Some people become self-conscious about the look of varicose veins. If you suffer from this common condition, there is hope for improvement. 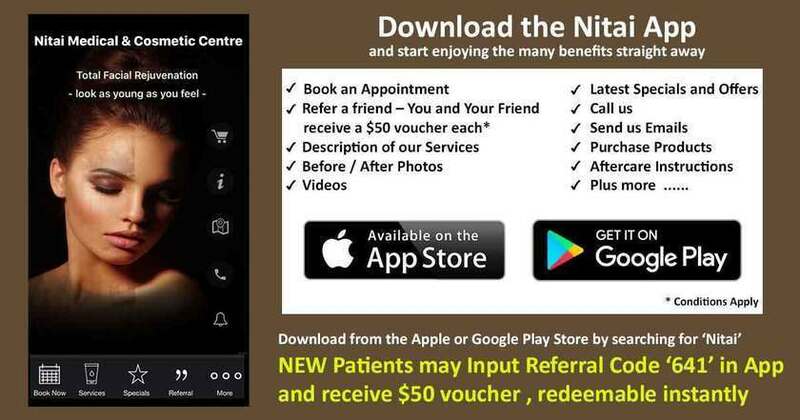 Nitai Medical and Cosmetic Centre now offers varicose veins treatment and varicose vein removal. For visible leg veins, three types of treatments are available, two of which are offered at Nitai Medical and Cosmetic Centre. We offer direct vision microsclerotherapy, which can be very effective for reducing or removing small veins, particularly spider veins. It usually requires multiple treatments, and is a fairly painless procedure. For larger varicose veins, we also offer ultrasound-guided microsclerotherapy. This procedure allows the doctor to find hidden veins, and repair them using ultrasound technology. The third type of treatment that we do not offer is endovenous laser therapy. This form of treatment may be successful if you have had previous surgical history for varicose veins, however it must be performed under general anaesthetic. We will refer you to medical specialists that can perform this type of treatment if necessary. At Nitai Medical and Cosmetic Centre we are highly acclaimed for our successful results treating patients for many types of skin conditions. Our award winning service, and leading edge technology make us the choice for people seeking affordable, effective treatments for their skin conditions. Through a no obligation consultation, we can determine whether varicose vein treatment or varicose vein removal might be right for you. Contact us today to book your appointment. You don’t have to live with the discomfort of varicose veins. They can be effectively treated at Nitai Medical and Cosmetic Centre.